Call 714-257-5737 to schedule your first appointment. 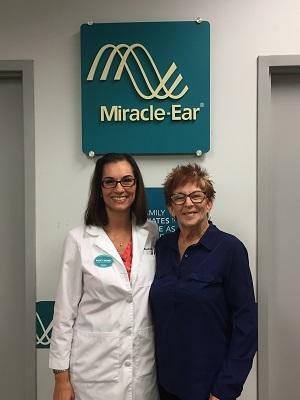 When you notice that some sounds are becoming more difficult to hear, come to your local Miracle-Ear® location in Costa Mesa, CA to discuss if hearing aids may be right for you, and find out how you can listen to clear, rich sounds again. Our independently owned and operated hearing aid center is backed by the most recognized hearing aid brand Americans trust to get the high-quality options and premium service they need. Our location conveniently offers a 30 day risk free trial* as well as a limited three-year warranty** for most of our hearing solutions. We have the most innovative advancements, and if you choose a high-tech product with GENIUS™ Technology, you’ll be able to recognize speech better in environments that are hard to hear in. You’ll also love included features like wireless connectivity, controls via our mobile smartphone app,† and a better listening experience. Are Medical Issues Causing Your Hearing Loss? Let Miracle-Ear help you find the best hearing aid match for your needs. We’ve got more than 70 years of experience, so we know that not treating your hearing issues might lead to things like anxiety, depression, and dementia. While there are more than 36 million Americans◊ with hearing loss, our hearing aid center is proud to be serving those in the Aliso Viejo, Fountain Valley, Irvine, Santa Ana, Costa Mesa, Huntington Beach, and Newport Beach areas. Call us today to speak with one of our knowledgeable and experienced hearing care specialists about setting up an appointment. My favorite part of the business is; I chat considerably with the patients before they are seen, when they come out wearing their new hearing aids smiling and with their entire demeanor changed, happier and more confident. That is what puts the smile on my face! In my free time, I love spending time with my family. I have five grandchildren that are the lights of my life. I paint a bit and am a Calligrapher. My name is Nancy Niemiec and I feel incredibly blessed to be a Hearing Care Professional at Miracle Ear. Hearing Loss has such an impact on life-from an individual�s ability to understand, their interactions with family and friends and ultimately on their brain health. By providing Hearing Aids and all the aftercare support, I can be an active participant in restoring a huge component to their enjoyment of life. Not only does this bring me immense gratification, but I get to build relationships with amazing people. A little about me: I was born and raised in Southern California. I lived in LA County for my childhood, then moved to San Diego where I graduated from SDSU. I settled in Orange County more than 25 years ago with my husband and we are raising my son and daughter here in Tustin. Travel is what I love to do and look forward to the next adventure.